Stay informed about the Acmetek Press Releases and more. There are many SSL checkers out there which are used to check the validity and installation of a websites SSL Certificate. Majority of these checkers may vary on the information that they display or may have limitations, as they only perform their function as programmed. Aside from using an SSL Checker tool there is always the manual way of using your browser to check proper installations. If you would like to learn how to check using a browser SSLSupportDesk features such an article Troubleshooting: Checking SSL installation with a browser. Some SSL Checkers are extremely advanced and will not only check the validity of a SSL certificate, but can also point out flaws in a server’s configuration or software. Qualys SSL Labs has an SSL Server Test (SSL Checker) tool that is well executed and implemented. 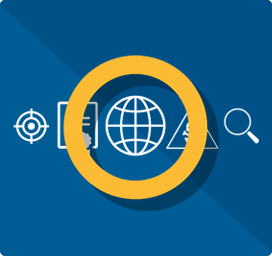 SSL checkers will only work if your website is publicly accessible from outside your network. More than likely if your website is internal you will not get any results. Example: We used a domain name that does not exist in the outside work and get this result. 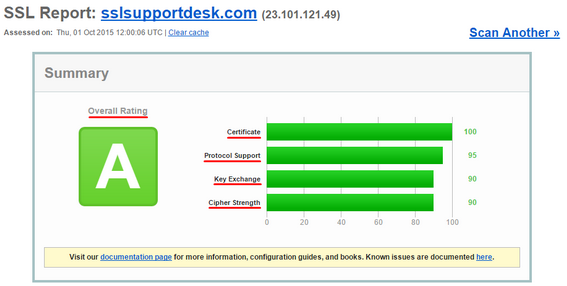 Using sslsupportdesk.com which is accessible to the open internet lets see how Qualys SSL Server Test Checker works. Overall Rating: Based on the quality of the server system running the Domain Name submitted. Factors that attribute to this Overall Rating are from combining the categories of Certificate, Protocol Support, Key Exchange, Cipher Strength. Use of a self-signed certificate. Use of a certificate that is not trusted. Use of a revoked certificate. Protocol Support: The encryption protocols that are available to clients visiting this web server. Key Exchange: The distribution of the public and private keys and their strength when setting up encryption between client and server. Cipher Strength: Ciphers perform the actual encryption/decryption of the key pair running on the server system. Some can be considered weak, others strong. If there are any warnings or concerns the Qualys SSL Server Test Checker finds will be denoted below the Summary. Yellow = Advisories or Industry changes that may turn into red over time. More information regarding the checkers findings can usually be found by clicking MORE INFO. Note: You may need to contact your server hosting provider or server vendor in order to perform updates, how to turn off certain protocols, or set the proper configurations needed for a good rating. Additional Certificates (If Supplied): Lists any additional Certificates that are also radiating off the server system. Usually these are Intermediate CA certificates. Certification Paths: Shows the entire Chain Of Trust. Usually SSL Certificate > Intermediate > Root. Note: The last certificate in this chain will be the root certificate. At times a yellow “Sent by Server” may appear on the Root. This only means that when a SSL connection is being made to the server that the server is presenting and forcing a root certificate to the client. Usually the Root certificate should only rest in the client’s browser Trust Store. Don’t be alarmed as some servers have to present this due to their programming. Although proper practice dictates that they shouldn’t. Protocols: The encryption protocols that are available to clients visiting this web server. Cipher Suites: The child protocols the perform the actual encryption session. Handshake Simulation: Mimics the different browsers used to connect to the server. Off Note: Most modern browser systems will automatically choose the best most secure connection the browser is capable of regardless of how the server is configured. Protocol Details: More information regarding how the server system is handling protocols. Miscellaneous: Server type running Domain Name, Timestamp check occurred, etc. Qualys SSL Labs Server Test Checker tool is operated and managed by Qualys. This SSL Checker is one of many publicly available on the internet that can help you diagnose problems with your SSL certificate installation, or other errors that are associated with your server system. 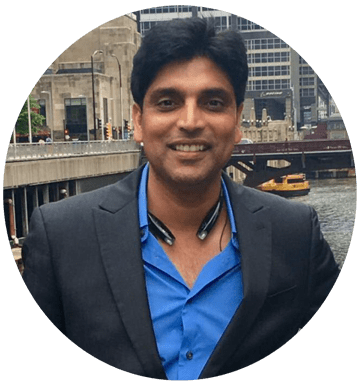 Q&A with Ramesh Nuti, CEO of Acmetek Global Solutions Inc. providing Consulting and Security Solutions that include Encryption & Authentication (SSL), Endpoint Protection, Multi-factor Authentication, PKI/Digital Signing Certificates, DDOS, WAF and Malware Removal. CEOCFO:Mr. Nuti, what is the focus at Acmetek Global Solutions? Mr. Nuti: Acmetek is a trusted advisor of security solutions and services. We provide comprehensive security solutions that include Encryption & Authentication (SSL), Endpoint Protection, Multi-factor Authentication, PKI/Digital Signing Certificates, DDOS, WAF and Malware Removal. We call it a seven-layer security model. If you are looking for security look no further. We have covered it well. CEOCFO: What do you understand at Acmetek about security that perhaps less knowledgeable companies do not recognize? Mr. Nuti: Acmetek started its journey into Website Security Solutions mainly focusing on SSL in 2010 as a result of a simple observation: SSL has evolved over the years, but Technology Distributors and Businesses have not adapted. This mismatch led the founders of Acmetek to create the vision for the SSL experience and to develop Channel Enablement Model to support it. With our powerful enablement model, businesses can implement security solutions with ease. With our integrated set of tools and enablement support, partners can now offer SSL and implement for their clients across the globe. Acmetek business model enables channels like CDW, Dell, and likes, with website security solutions. We basically come in and give a solution to their end clients and enable these channels. CEOCFO: Who is turning to you for services? Mr. Nuti: We work with channels predominately, such as CDW, Dell, and likes. These channels are huge. They serve over half a million clients. These channels are now empowered to sell SSL, which they couldn’t do before because they didn’t have the support structure. We come in and do all the presales, order management and then the post sales for their clients. We also have a direct segment. We serve from small medium businesses to the large enterprise that includes different sectors and verticals like healthcare, finance, education, governments etc. Mr. Nuti: Hyper Text Transfer Protocol Secure (HTTPS) was really not the main focus back in 2010 for many businesses. It was there, but clients were never giving it their first priority because perception was HTTPS was only needed if you accept credit card details online. That really has changed over the last 6 years with stringent policies enforced from browsers like Google and others. Every business now needs to be on a secure connection to protect their customers trust and counter cybercrime. It is just that there is so much phishing and cybercrime going on in the world. I would say in 2010, we used to knock on doors of our clients and explain they need security and why it is extremely important for them to protect not only themselves but their customers. Now in 2017, it has turned around, now our clients are knocking on our doors to learn about security solutions. That gives you the perspective that businesses are now more aware of security in general. CEOCFO: Would you tell us how you help in the customer service and support side? Mr. Nuti: We strive to be a customer centric company and there are no two ways about it. This is where our enablement model comes into play. For example, one of the key channels like CDW approaches us for an SSL solution for thier customer, our security experts take it over from them and do the entire need analysis for the customer to find out exactly what they need and put a solution quickly. This eliminates large channels like CDW extensive staff training on products and can focus on their core business. Once we give the solution to the client, it does not stop there, we support the entire lifecycle of the product itself at no extra cost. End customers get a link to an Acmetek-hosted SSL portal with the channel partner’s branding, and the portal makes it easy for the customer to manage the lifecycle of their SSL certificates and more. Mr. Nuti: We are deeply honored to be in such great company as all those recognized by Inc. Acmetek is doing something really unique in the security industry protecting people’s lives. This recognition really helps us in a spreading the awareness of cyber security in general. 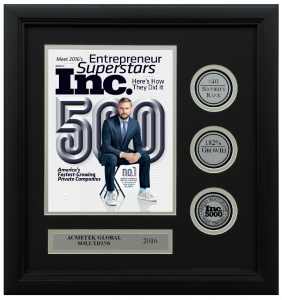 I am very proud of the entire Acmetek team and we are excited to be recognized by such an illustrious publication. This is a true testament to our commitment to quality and 100% client satisfaction. Mr. Nuti: like I mentioned earlier, we are a trusted advisor of security services and solutions. In this channel landscape, there are only few select players out there. We laid the blueprint for the channels. We also have many case studies written on our business model. The competitive landscape is going to be someone who is already selling the security solutions but most likely they are retail focused. We are channel focused and we give comprehensive SSL solutions to clients, i can’t think of anyone out there who does what we do. CEOCFO: Why choose Acmetek Global Solutions? Mr. Nuti: For the difference that Acmetek is making, the company won a Symantec Trust Services Collaborative Partner of the Year Award in 2013 and has been Strategic Platinum Partner 5 years and recognized by Inc 5000 2 years in a row. 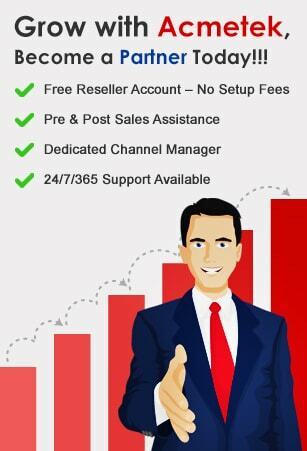 The Acmetek business model is a blue print for channels. For clients, it’s very confusing out there when choosing the right security solution especially with many different security products to deal with, if they make a wrong choice, it is going to be extremely difficult to correct it and there will be huge compliance issues in the future. Acmetek really understands the entire nine yards of security here and we make sure our clients get the right solutions and the peace of mind so they can focus on their business. Lastly, we are located both in North Americas and APAC regions serving clients across the globe.